Today is the first Wednesday of the month and time to appreciate the critters who live in our gardens, adding beauty and life while sustaining pollination and seed distribution. 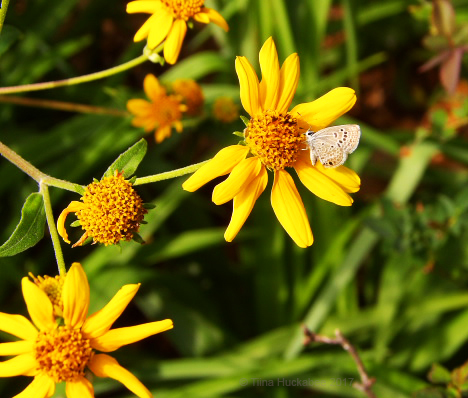 Birds, bees, and butterflies are always welcome visitors, but others contribute their threads to the wildlife fabric of the garden. October is typically a glorious month in Austin, Texas and this past month was exemplary in things weather and garden related. 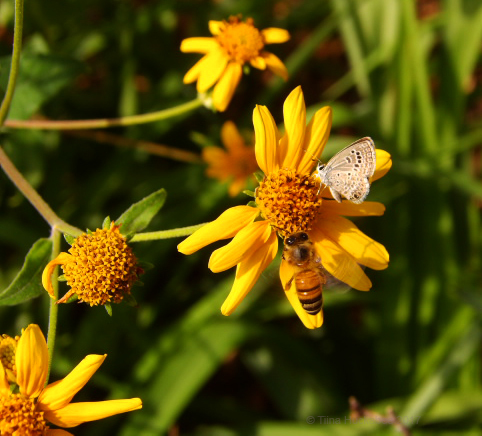 Masses of fall blooming perennials have spurred pollinator activity. 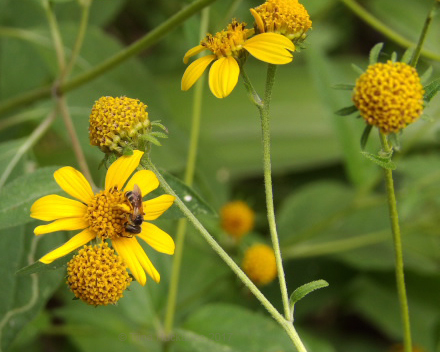 Native bees, active most of the growing season, have been all over obliging blooms. 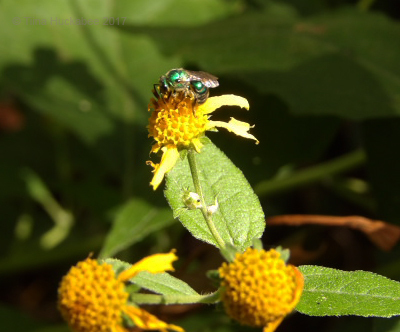 This Green Sweat Bee, Halictidae, and its metallic buddies have reveled in the Plateau goldeneye, Viguiera dentata, flowers. Looks like someone munched the petals before Ms. Bee arrived, but ragged, clearly nibbled-on petals don’t slam the brakes on pollen and nectar gathering. 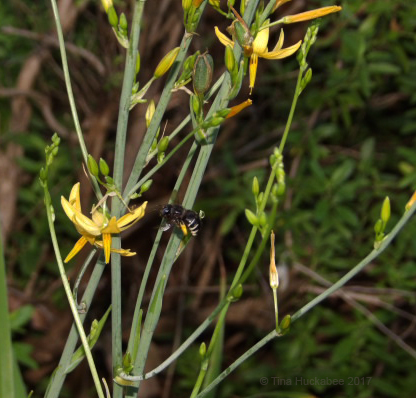 Small Striped Sweat Bees, Halictidae, also favor the goldeneye blooms. No photos as evidence, but I’m observing these yellow and brown ladies busily filling nest holes in a bee hotel affixed on my back patio. Horsefly-like Carpenter bees, Xylocopa tabaniformis, always abundant in my garden, are slowing down as the light is changing and temperatures are cooling, but they’re still buzzing the blooms and drilling wood for nests. This bee rocks pollen-filled corbiculae. One wonders how they fly, so loaded with pollen. Honeybees never miss pollinating action and are in full honeyflow mode. The back garden is awash with the fragrance of honey. 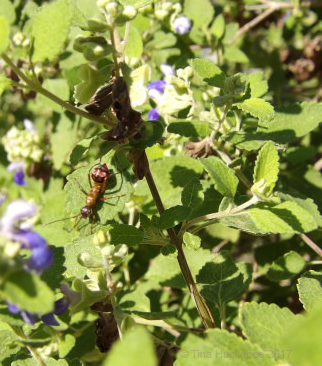 This girl is enjoying the bounty of Shrubby blue sage (Salvia ballotiflora). Birds are always a thing in the garden and recently I’ve glimpsed an Eastern Screech Owl and heard its territorial trills; the owls are year-round residents in the neighborhood, though elusive during summer months. Also, the local hawks are more active, swooping through the trees and scattering birds at will. In addition to the year-round residents, winter avian Texans–“snowbirds”–are arriving to shake things up a bit. This past weekend I spotted a pair of Ruby Crowned Kinglets and an Orange Crowned Warbler. Last year, those two kinds of birds, as well as others, spent late autumn, winter, and early spring in my garden. One of the regulars, this Blue Jay, Cyanocitta cristata, wrangled with an oak acorn for several minutes. I thought he might consume the whole thing while perched on the fence, but he eventually placed the pecked remains of the acorn in his beak and took off for a more private place to finish his meal. 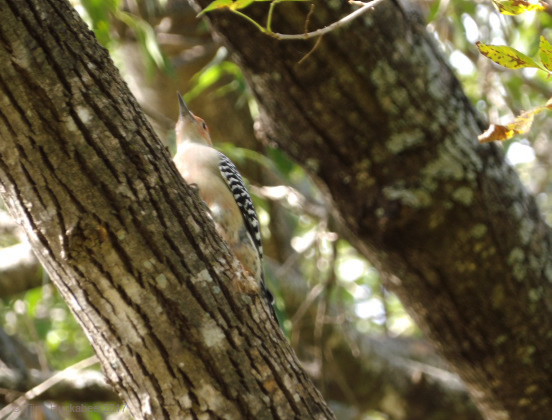 The Red-bellied Woodpecker, Melanerpes carolinus, wears a striking red-head, but it’s the blush on the belly for which this cheeky bird is named. That bit of blush is just barely visible in this shot. I usually hear, rather than see these birds, but they are common where I live and they will visit the garden, especially once the suet is out for the taking. In my neighborhood, there are several nesting pairs. For the record, there is a Red-headed Woodpecker, also a year-round resident, who has a very red-head, which you can see here. I’ve never seen this species in my garden. 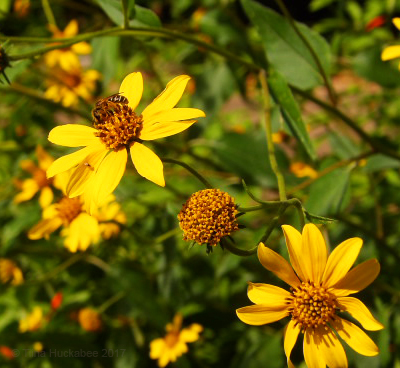 As goldeneye blooms fade, seeds develop and the finches move in for the munching. 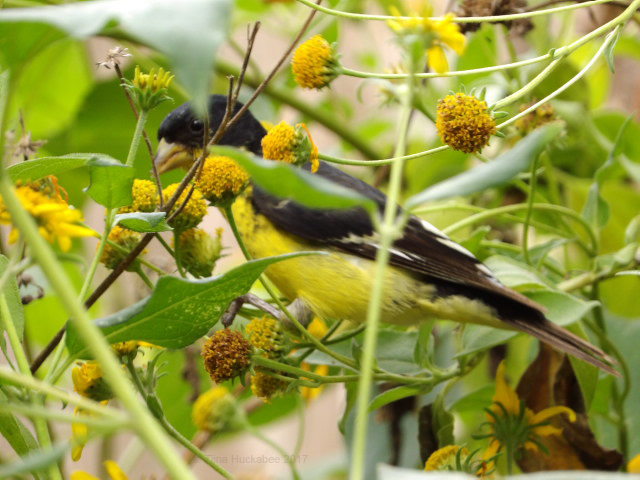 This male Lesser Goldfinch, Spinus psaltria, snacks on seeds amid the blooms, spent blooms, and foliage. His mate was there as well, but harder to see and photograph. These little birds are around year-round visitors, but only appear depending upon on what seeds are available in the garden. Lesser Goldfinches and American Goldfinches prefer the seeds of native plants. 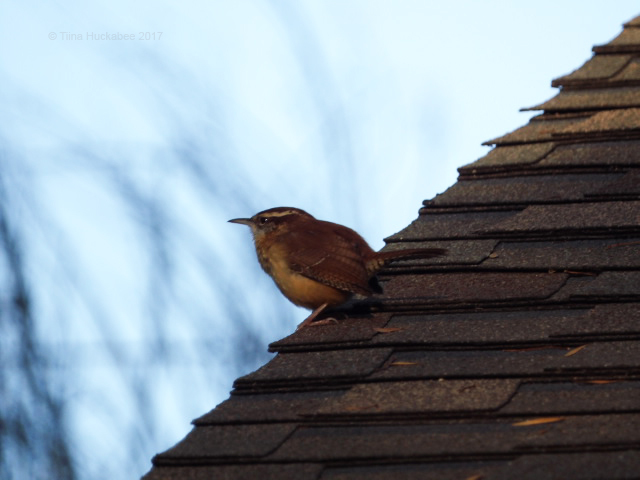 Carolina wrens, Thryothorus ludovicianus, serenade the neighborhood regularly; this one stationed himself on a neighbor’s rooftop early one morning. 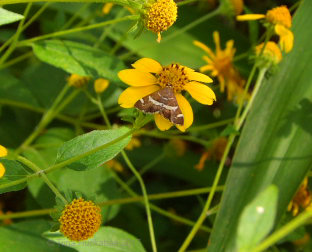 Butterflies and moths also decorate the October garden. Most seasons there are plenty of Giant Swallowtail butterflies, Papilio cresphontes, but this year they haven’t been as numerous. I watched this one nectaring at Turkscap, Malvaviscus arboreus var. drummondii. The top-most bloom is visible behind the head of the butterfly; proboscis is unseen, no doubt engaged. I’ve often seen this little winged-thing, especially in late summer/early autumn, but finally identified it as a Spotted Beet Webworm Moth, Hymenia perspectalis. The other flower it prefers is the Blue mistflower, Conoclinium coelestinum. This petite Reakirt’s Blue (Hemiargus isola), is another pollinator savoring the nectar of the Plateau goldeneye. The underwings are neutral in color–females darker, so I think this is a male. The upperwing is where the blue is visible. Alas, this one wouldn’t open long enough for me to catch its lovely shading. Sharing a bloom with a honeybee! The Pipevine Swallowtail butterflies, Battus philenor, are daily visitors. I don’t grow the host plant, pipevine, but I know that several neighbors have the plant in their gardens. Thanks neighbors! Nectaring from a Frostweed (Verbesina virginica). Like the Reakirt’s Blue, this Long-Tailed Skipper, Urbanus proteus, showcases a beautiful blue coloring on its upper wings. This one wouldn’t model that for me though, preferring to feed–wings up–on the Shrubby blue sage blooms. A common, large skipper living in a wide geographic range, I usually observe them only in the autumn months. Monarchs! The magnificent, migrating Monarch butterflies, Danaus plexippus, graced my garden as they made their way to Mexico for winter. A female on a Turkscap. It’s apparently been a good year for these beleaguered insects–thank goodness! 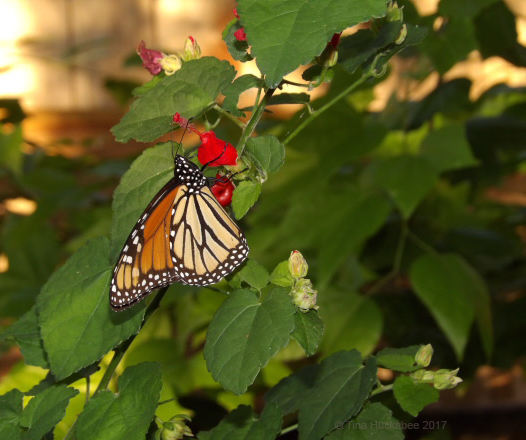 I’ve read that because of unusually warm temperatures in Canada and the north central parts of the U.S during early to mid October, that a bonus hatching of adults occurred–an “extra” generation of Monarchs. That’s an odd thing and while Monarch enthusiasts are happy about those “extras,” it remains doubtful that they can migrate south quickly enough to escape the cold temperatures which have finally arrived, and make it safely to Mexico before the mountain wintering site becomes too cold. 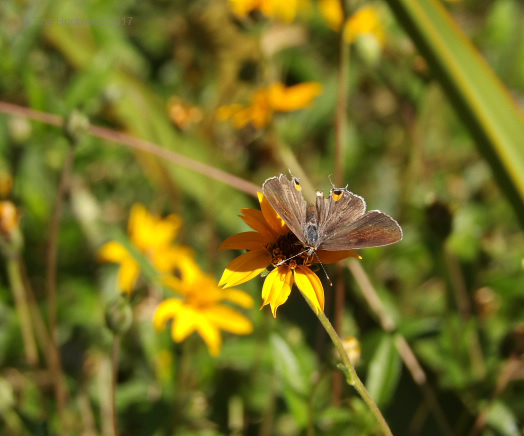 Additionally, those concerned with the abnormally warm northern temperatures recognize the long-term negative affects of climate change and how it is impacting this species of butterfly. I’m still seeing a few Monarchs, but I think the mass of them are already south of Central Texas. Another female on a Gregg’s mistflower (Conoclinium greggii). 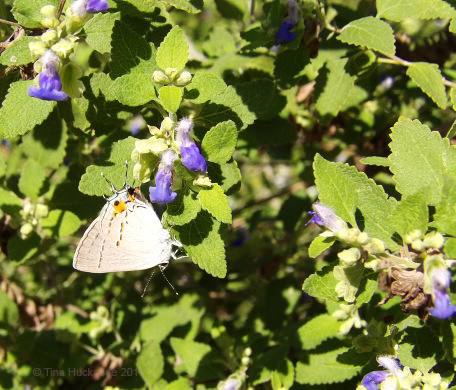 Resting on the leaf of Shrubby blue sage after much sipping and flitting. 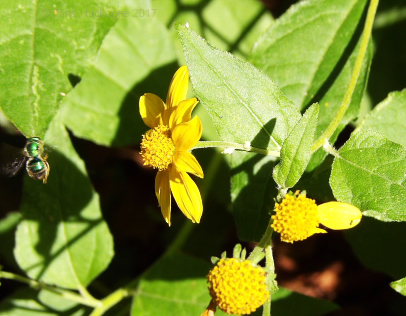 This one relishes the flowers of Zexmenia (Wedelia acapulcensis var. hispida). 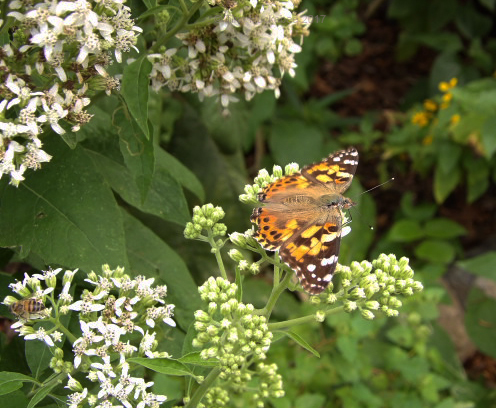 Rarely has a day passed when a Painted Lady, Vanessa cardui, hasn’t been in attendance. 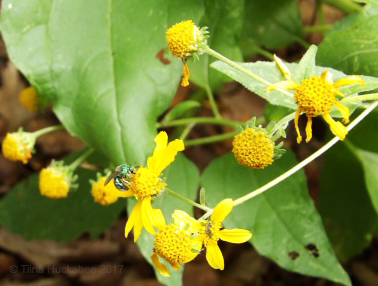 Preferring flowers in the Asteraceae family, I can only guess that this one is in its happy place while nectaring on a Frostweed. 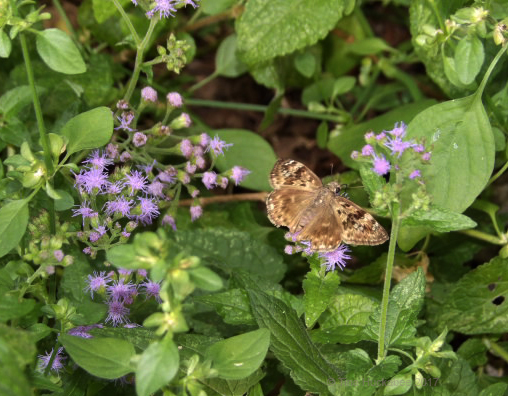 The Blue mistflower, Conoclinium coelestinum, isn’t quite the butterfly magnet that its cousins, Gregg’s mistflower, Conoclinium greggii or White mistflower, Ageratina havanensis, are, but this Horace Duskywing, Erynnis horatius, isn’t complaining about what the lovely blue blooms offer. It wasn’t just the three B’s (bees, birds, butterflies) in my garden that were interesting; there were plenty of other contributing critters to appreciate. 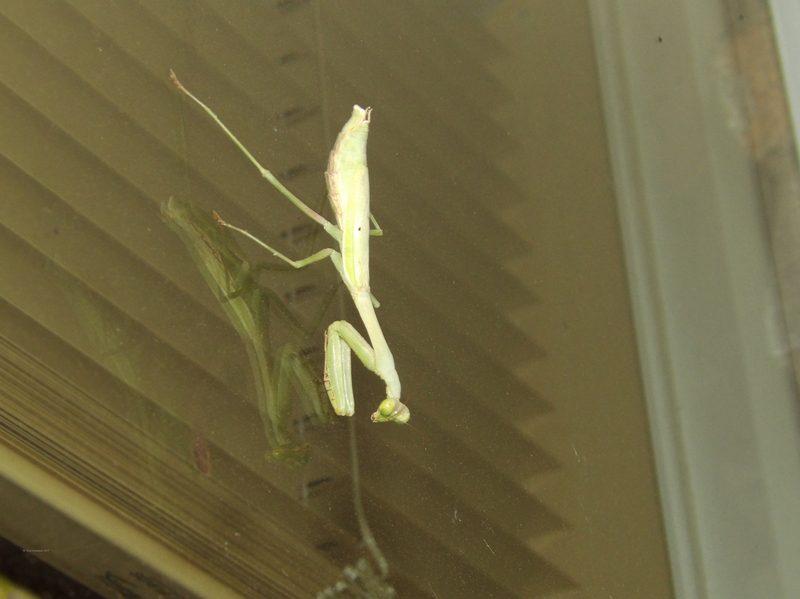 A Carolina Mantis, Stagmomantis carolina, hung out on the screen of a bedroom windows one weekend afternoon. Fascinating predators, they hunt and eat a variety of insects and have been known to catch hummingbirds! That afternoon, this mantis missed some easy hunting, as she was on the window not facing the honeybee hives we checked, causing the bees to stir up a bit. Had she been on the other window, our lost bees would be her gained meal. No matter, as the size of this mantis suggests she’s had plenty to eat–honeybees, and all sorts of other insects. A Green anole lizard, Anolis carolinensis, gives me the stink-eye while deciding whether he wants to be green or brown. I’ve seen lots of babies recently, but this one was larger than a baby, though not fully grown. Ready for Halloween, this Milkweed assassin bug, Zelus longipes, dresses the part! 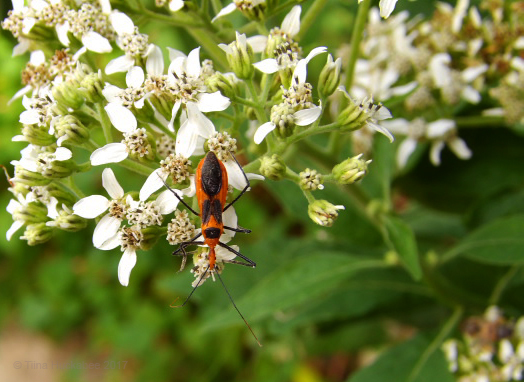 An insect predator of aphids, houseflies and others smaller than itself, the assassin bug also enjoys a drink of nectar from Frostweed. 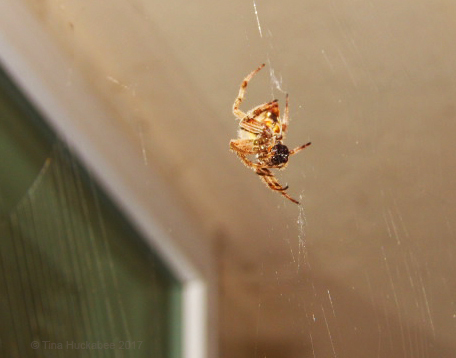 Yet another seasonal icon, I observed this large spider hanging outside my kitchen window over the course of a couple of days. I never got a good look at her–she skittered away whenever I approached, but I saw she bundled a few honeybees in her snare. I’ll just call her Biggus spiderus–and leave it at that! I’ve seen several examples of this insect from time-to-time. It may be a Broad-headed Bug, but this nymph looks like it should be called a Broad-butted Bug! I always assumed it was some sort of ant, but couldn’t find anything in my go-to resources that matched. 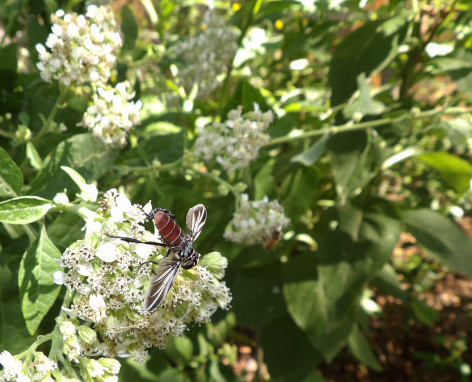 I finally uploaded this photo and description of the mystery insect to the fine folks at BugGude.net. A nice bug person responded with an identification of a nymph Broad-headed Bug, Family Alydidae, the adults of which I’ve seen aplenty in my garden. When I looked at the photos, the Broad-headed bugs looked like types of Leaf-footed bugs, Family Coreidae, which, as it happens, they were once classified with. Broad-headed bugs are now classified in their own group. One last mystery comes in the form of this handsome fella that I watched working Frostweed blooms. It looks like a fly, but my search for an identification proved fruitless. I uploaded this photo to BugGuide, but I haven’t received an identification yet, so this one is unknown and unnamed for now. Any ideas out there? This insect crawled from bloom to bloom. It certainly possesses a fine set of wings, though. Celebrating lots of life in the garden for Wildlife Wednesday, I hope your garden is full of wildlife happenings and reaping autumn bounty. Please share your wildlife stories for this past month and remember to leave your link when you comment. Good wildlife gardening to you! 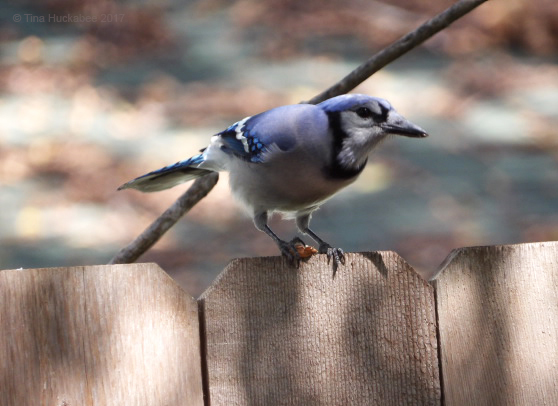 This entry was posted in Pollinator garden, Uncategorized and tagged Backyard Birding, Urban Wildlife, Wildlife Gardening, Wildlife Habitat, Wildlife Wednesday by Tina. Bookmark the permalink. I just love your blog and incredible wildlife photos! You have a beautiful diversity of life at your home. In Ontario, autumn is in full swing, so there are few insects to be seen. My (unfortunately) invasive European Mountain Ashes have been teeming with birds. I’ve heard a hard frost makes the berries sweeter, and since it our last frost it is not uncommon to see upwards of 10 robins in the tree at a time among the other bird visitors, all gearing up with fatty berries for the flight ahead. I will leave the trees at least until my native berry plants mature. There are Cardinals and Cedar Waxwings enjoying my small dogwood shrubs too. It’s been a big year for berries and cones and the saying tells us that means a snowy winter. We’ll see! Thanks again for your lovely posts, Tina. Thank you, Laura–so sweet! I was in British Columbia (opposite end from you, of course) exactly a year ago and remember how incredibly beautiful autumn is. This Texas girl just *barely* understands about “autumn” beauty. 🙂 I’ll bet your birds are happy, happy with all those berries. I’ll be seeing Cedar Waxwings sometime in late January or February–maybe some of yours?? Thanks for reading! You have a nice selection of visitors. Butterflies have come back to my yard this and I found some Monarch caterpillars. There were a lot of critters this past month! I’m glad you have some butterflies again! Wow, you always come up with so many interesting bug stories. Nymphs are tough to ID since they usually look vastly different from their adult form. “Biggus spiderus” works and is a naming protocol I consider from time to time also. I really have identification problems with many kinds of insects. The sheer number and slight differences–it’s overwhelming! That’s a goldfinch?! He looks so innocent, and bigger than I remember. A big herd of those things came into my dining room when I brought in a big bouquet of sunflowers. There was quite a flurry of commotion, like they were really partying, but when I walked in, they froze for less than a second, and then, all at the same time, flew out the window, leaving sunflower frass, feathers and poop everywhere! Don’t bring sunflowers in. What a funny story! I guess it wasn’t much fun cleaning up, but it’s a great bird story. I was surprised that this one let me get so close, but the photo is cropped, so he’s “closer” than I actually was taking his photo. It would have been funnier if it had happened to someone else. The birds were cool though. It is hard to dislike them. Thanks, Sue! I agree with the insect identifications–it’s really hard and especially with their different instars and nypmph stages. I love blue jays, but I’m not sure I’d call them sweet! They’re loud and boisterous and never, ever get near a blue jay fledgling on the ground–you’ll have to deal with a hoard of them cawing at you and generally being obnoxious! But–I love having them in the garden. Fun! We have a lot of the same visitors, except we don’t have the lizards, and I don’t think the Long-tailed Skipper is one of the ones we see here–I’ll have to check. I occasionally get Giant Swallowtails in the garden, but I haven’t seen them in a couple of years. They are so amazing! This is a beautiful WW post! 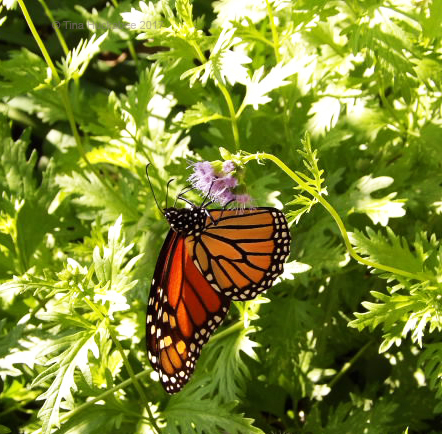 Funny–I always think of you and Jason when I see the Monarchs or other migrants: “Gee, I wonder if these were in their gardens? ?” I think that Long-tail is somewhat tropical–this is a northern spot for it, if I recall what I read. 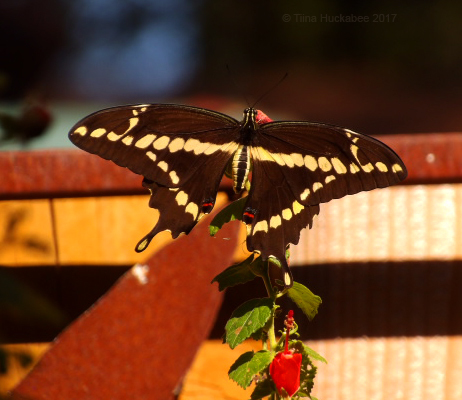 The swallowtails–all of them–are glorious to see! Tina that magnificent photos of the large number of visitors and residents that it has. All are wonderful and I can not stay with any in particular. 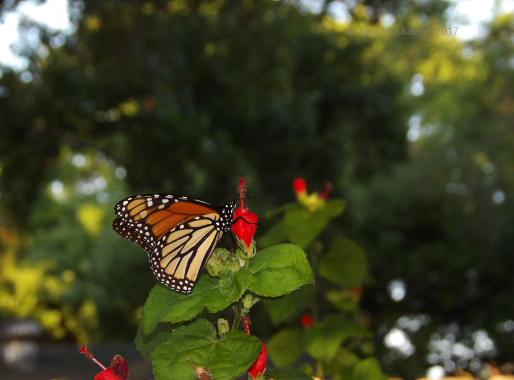 What worries me is what it says about Monarchs and how climate change will affect them. Well, climate change already affects the climate in Spain. We had a month of October with temperatures higher than 10º Centigrade or more than the average that had to be registered according to the National Institute of Meteorology. Never since there are records has there been such a warm and dry October, if it rains nothing. Now temperatures are starting to normalize somewhat, but without reaching normal values. Excuse me, Tina, tell you this, but I’m worried about animals. In my garden I have a male blackbird that comes every day in search of food and with his beak he is tapping the ground and then he hears if there is food. I have a mole that is dedicated to pass under all the roses and in each rose I get the “debris” (the excess soil). I have three canine roses (they are wild) that have become giants: more than two and a half meters high and three meters wide. They are full of little different birds that spend the day chirping and singing: it’s a joy. I have managed to see the Robin and the Verderón. Also to the Spanish Jilguero. I am no longer in the country house: I have returned to the Madrid flat. Saludos de Margarita. I’m sorry that you’re also seeing negative impacts of climate change in Spain, but I’m not surprised–we are all experiencing these changes and I’m afraid that will continue. Do you like being in Madrid, or would you rather be in the country home? Thanks for reading, Margarita! Tina does not have to thank me for reading her wonderful and instructive blog, on the contrary, it’s me who has to thank her for publishing such a magnificent and interesting blog. I prefer to be in the country house, which is also in Spain but as it is said in the USA in another different state. Madrid is the capital of Spain and the country house is in a “state” here we say Comunidad Autónoma. Some are very large and are divided into Provinces always under the direction of their Autonomous Community. Well the country house is in a province called Soria which is very mountainous, with many trees, lots of water, rain, snow and cold or it has always been in the past. The mountains and the trees continue but the rest has left. I prefer to be in the country house, surrounded by mountains and animals and pure air. But when duty calls we have to go to Madrid: traffic, pollution, noise, people everywhere. The chaos. I have to go to the big parks of Madrid and sit under a tree with seeds to feed the sparrows and pigeons and whoever wants to join, even if it is forbidden. And so recover peace and laugh with the birds. Greetings from Margarita. I guess I assumed that your country home was not too far from Madrid. It sounds lovely and I’m sure you must miss it when you’re in the city. I’m glad you have some parks in Madrid to enjoy some green space and wildlife. It was interesting to learn of a late generation Monarch hatch up north. I live in MA and saw one this morning. I do wonder how it will fare with the temps dipping below freezing this weekend, but as the temps rise and fall erratically (Oct. was unusually warm), I hope they make good progress on the warm days. Maybe this one is headed to FL, where some go to overwinter. The plants are being fooled out of dormancy with the crazy weather, bulbs breaking ground and I even saw a crabapple in full bloom. Climate change worries the heck out of me! You and me, both, Eliza! I think everyone who’s bothering to notice has seen changes and that’s certainly confirmed by science, as well. I think I read about the late season hatches on monarch.org, but I’d have to go back and find the article. Like you, I hope some, or most, can make it south before the temperatures are consistently cold, but I guess we’ll just have to wait and see how this pans out. I went out and about last weekend, and was (I confess) a little morose by the time I came home. There has been substantial mowing, plowing, and burning all over the areas I’ve always enjoyed, and not a bit of anything to see except goldenrods, of course, and grasses. I did see one pink evening primose, though! Whether it was early or late — who knows? In any event, it’s lovely to see your garden, and it’s clear that if I get out of the flood plain, there will be more to enjoy. Much of what’s happened around here is necessary remediation. It’s just not very pretty while we’re in the middle of it! I did see some photos posted on Facebrook by TP&W showing masses of monarchs around Palcios a week or so ago. 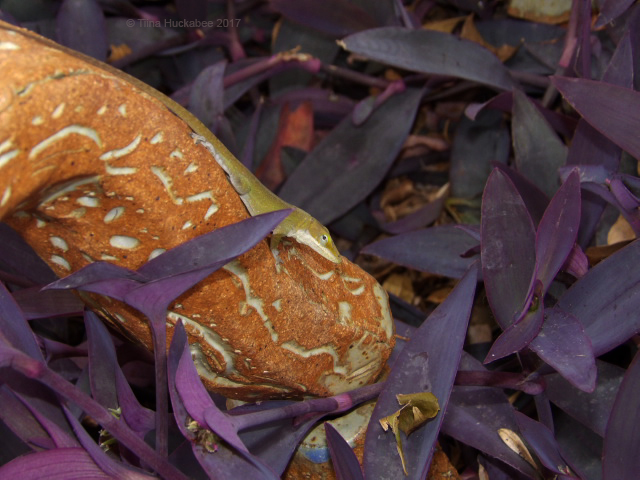 And I do mean masses — they were hanging on plants just like the photos from Mexico show. I’ve never seen so many in one spot — at least, not apart from television programs. And I’m seeing grebes now, and I found two crested caracara that I’ll post in my photo blog soon. Today, I saw my first kingfisher of the year, and I finally identified some shore birds a ruddy turnstones. Who knew? They got their name because the turn stones to find goodies to eat underneath them. Amazing. Thanks for a beautiful and inspirational post. It’s good to know things are proceeding as they should in some parts of the state! Yeesh–sorry that your widlife area is in destructive mode, but you’re right that it needs regeneration. PInk evening primrose in late October–that’s a real gift! I’ve never seen those kinds of monarch clumps, only photos of them clustering. 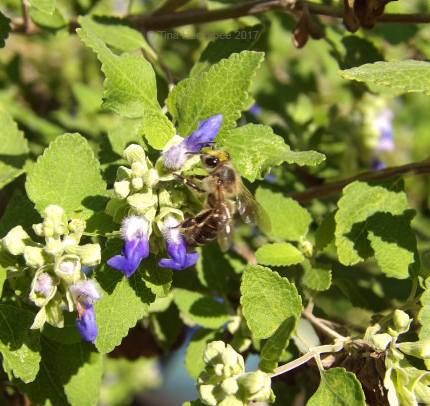 Once, when I worked at Zilker Botanical, I observed a bunch of them nectaring at a Skyflower (Duranta erecta)–which prompted me to run out a purchase one. I’ve tried it in two spots of my back garden, when only a few successful blooms (too much shade), but I’ve always noticed the pollinators never miss a chance at the blooms. The skyflower is one of the perennials I’ve moved to my front garden, where it will get full sun, now that half the Arizona ash is gone. I don’t think I’ve ever seen a kingfisher-how exciting. Ruddy turnstones is another I’ll have to look up! Summer doesn’t seem to have left you yet with such a diverse collection of wildlife in evidence in your garden. Love the shot of the tiny Reakirts Blue along side the honeybee, such contrast of scale. Good luck with your outstanding IDs. It is so useful having online help available, but tremendously disappointing if no-one can ID the photo. I’ve recently seen Twitter used effectively for IDs too. My wildlife post can be found here: https://wp.me/pM8Y1-6Nk, but winter is definitely on its way and so I have only birds to report. My climate is much warmer than yours, so we tend to have the insect critters for longer periods, though eventually, many will be dormant. I’m going to re-submit that “fly” with hopes that maybe my id request was lost in the insect curiousty scrum! Every time I read your posts Tina looks like yo live in a perpetual summer, with all the flowers, butterflies and other insects, birds – how lovely! Well, perpetual summer might sound like a good idea to you in Canada, but it’d be tough if it didn’t cool off here! That said, we do have lots of activity, well into late autumn and winter, and I have to admit, it’s nice! You’ve got so many great butterflies! 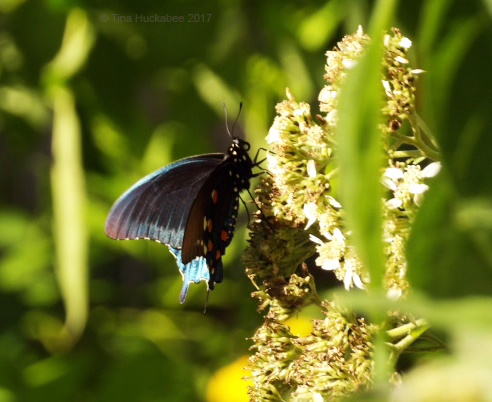 The Giant Swallowtail, the Pipevine Swallowtail, etc. 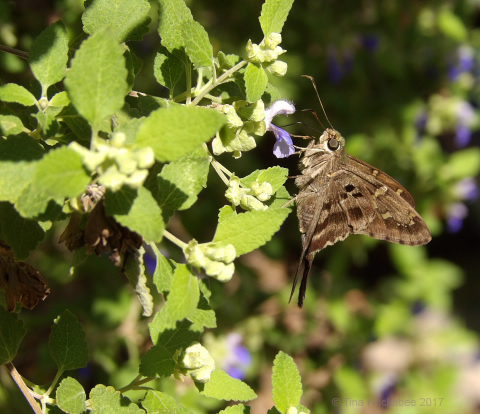 I’ve seen the Giant Swallowtail once in our garden but never the Pipevine – or the Hairstreak or Long-Tailed Skipper. I have planted some Dutchman’s Pipe so maybe we’ll see some Pipevine Swallowtails eventually.